1879, York.Greta Costello must rely on her wits to survive. She finds refuge as a Saturday girl for an old jeweller, Saul Abrahams, and her eye for detail, her long fingers and appreciation of beauty persuade Saul to train her as a pearl stringer. This skill will lead her through hardship and pain towards a new life. 1879, Scotland.Jem Baillie knows the immense power of a perfect pearl. His father was a fisher on a tributary of the Tay river in Perthshire, Scotland, and together they found the rarest of pearls, a great white pearl they call Queenie. When this is stolen from them, Eben vows revenge. 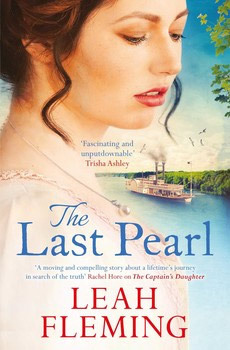 Spanning generations and continents, tracing the rivers of Scotland and the Mississippi, The Last Pearl is a sweeping novel of desire and revenge, of family and freedom, and of one woman's journey to open the shell she has built around herself to reveal the true beauty within.